The Bollenhut is a ladies' hat topped with pom-poms and has been part of the traditional costume worn by women in the three neighbouring Black Forest villages of Gutach, Kirnbach (near Wolfach) and Reichenbach (near Hornberg) since around 1750. Young unmarried girls wear hats with red "pompoms" and married women hats with black ones. The Bollenhut has become a symbol of the Black Forest as a whole because of its picturesque appearance and the homeland films. 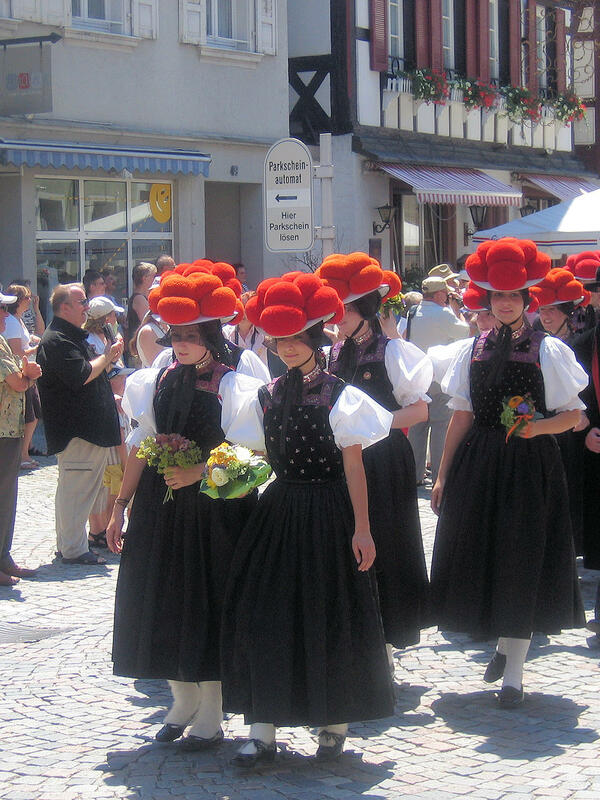 Traditional costumes are still worn today on certain public holidays and in processions and folkloric events in many places in the Black Forest.